Though wild tobacco plants grew in both North and South America, but when the fad of smoking hit Europe, the colonists wanted tobacco farms, and were soon growing the plant in quantities never seen before. The new farming industry required new methods of preserving and transporting the crop. 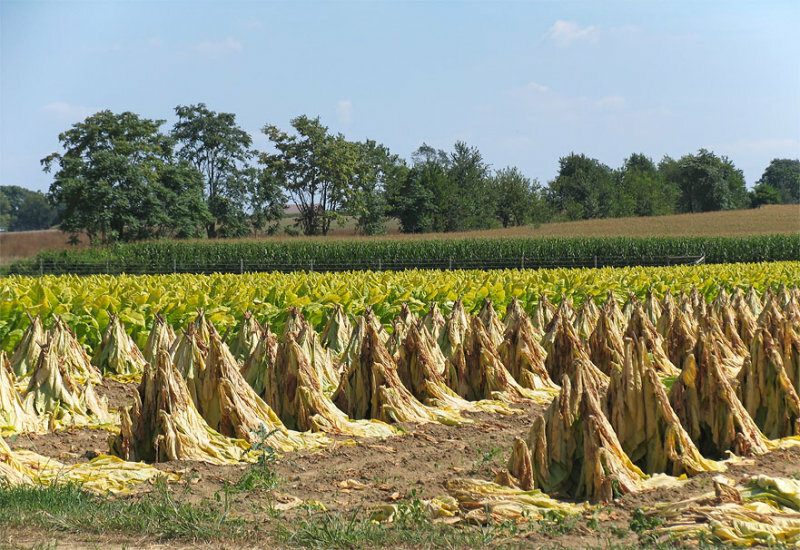 When Europeans first began to harvest tobacco, the plants were simply covered with hay and left in the field to cure or "sweat." But the use of hay diminished the availability of animal fodder. In 1618, new regulations prohibited the use hay for preserving tobacco. As often happens, government regulations drove innovation. 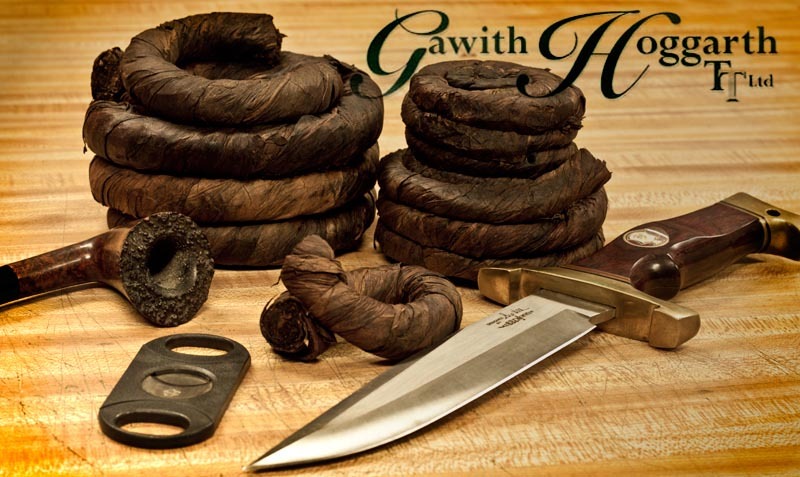 A better method of curing tobacco was developed. The wilted leaves were hung on lines or sticks. Though at first hung outside on fence rails, but the 1620s, tobacco barns for housing the crop were in use. During this curing period, which lasted about four to six weeks, the color of the tobacco changed from a greenish yellow to a light tan. Mold was a danger during the curing time. The leaves must stay damp and pliable, but must not hold too much moisture. When the tobacco was ready, and preferably during a period of damp weather, workers struck the tobacco and laid the leaves on the floor of the barn to sweat for a week or two. Though drying and preserving techniques were constantly being improved, by the Golden Age of Piracy the preparation of tobacco for shipping was still simple. The tobacco leaves were twisted and rolled, then spun into rope, which was wound into balls weighing as much as a hundred pounds. These balls were protected in canvas or barrels. Many inventories of stolen goods or pirate plunder include a notation of one or two barrels of tobacco. Although the export of bulk tobacco was not outlawed until 1730, a large barrel called a "hogshead" soon became the favored container throughout the colonial period. Even though its capacity varied slightly, governed by the regulations of the day, the average weight of the tobacco stored in a hogshead barrel was about a thousand pounds. Captain of merchant vessels did not load up a single-product cargo in a single port. Instead, they traveled from one plantation dock to the next, loading up with barrels of tobacco as they moved along the river. If they had trouble getting their cargos of tobacco into England, they might resort to employing smugglers, the cousins of pirates, to get their cargos into the country. Back in the Caribbean, pirates smoked “like the devil” to quote a phrase used at the time. Excavation of known pirate camps reveal that as many as one third of recovered artifacts are clay pipes. 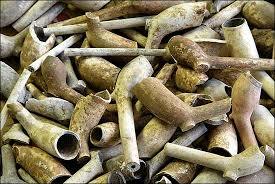 Divers in the sunken city of Port Royal recover broken pipe stems by the hundreds. Why did pirates smoke so much? On navy and merchant ships, smoking was strictly controlled and highly discouraged. Boats were flammable. Even on pirate ships, smoking below decks was likely prohibited. Some pirate ships, however, provided their crews with a small smoking luxury – a means to light their pipes. In the days before matches, pipes and candles were most often lit from an existing fire. Households kept a supply of long wooden splinters at hand. These were lighted from an existing fire, then used as we would a match. But open fires were not popular on ships. So the pirates got around this by using slow-burning cannon fuse. Ships would allow a length of this material to smolder in some convenient location, often near a tub of water. Anyone wishing to smoke only needed to wander over to ignite a pipe. In town, taverns often supplied pipes. 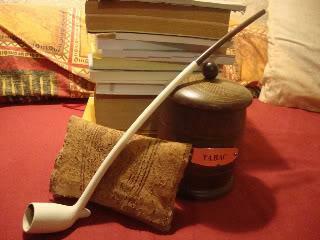 Tavern pipes were often used by many smokers, being cleaned and kept on pipe stands when not in use. 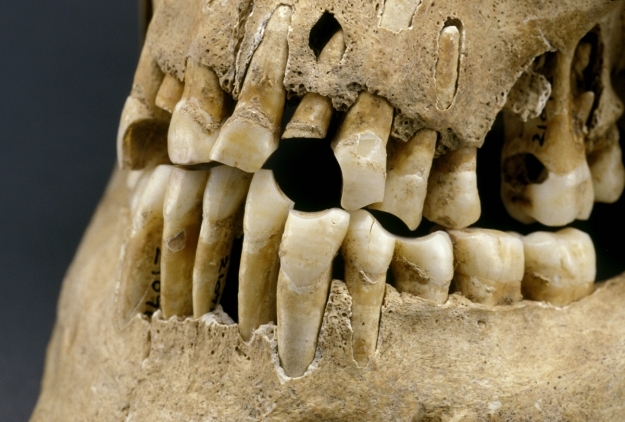 The many pieces of broken pipe stem found at archaeological sites has led some people to believe that 18th century smokers broke the tips off their pipes in order to protect against the transfer of germs or sickness. It’s a great story, but there is no supporting evidence. People in the 18th century didn’t know about germs. It’s more likely that pipe stems were broken as a method of cleaning, or simply because the pipe stems were long and delicate. Today, of course, modern pirate re-enactors are more likely to smoke cigarettes. A tobacco product that was not invented until 150 years after piracy’s golden age. But never fear! Creative entrepreneurs have invented a device that hide a modern cigarette inside a false pipe. For your smoking pleasure. we've all that you may require. each one of us have the nice escorts that you may get to your so don’t hold up and pick out your reserving with everyone people, as just our Escorts services Islamabad is as well as may be anticipated fulfill what you are sincerely attempting to find tactics no longer maintain up and be part of with and determine out the way to make your reserving with us. inside the event that territory in Islamabad and paying special thoughts to escorts In Islamabad, pinnacle Escorts services in Islamabad you then have one selection left that is to lease Vip Islamabad Escorts as Islamabad Escorts offerings are on excessive of diverse call women. Islamabad is that the capital of Islamic Republic of Pakistan in this manner we have a tendency to center that we can come up with excessive Pakistani version Escorts in Islamabad there. We each day meet with absolutely specific nationalities human beings sooner or later understand the style of everyone. Thanks for share this article it is very helpful to me.I am very much grateful for your efforts put on this Tobacco Merchant Account.